Will Virushka wedding would be an end to Anushka’s Bollywood Flight! – All About India ! 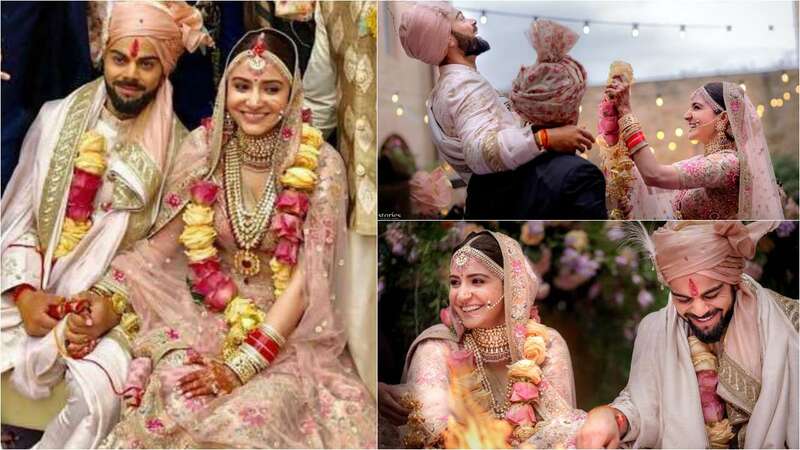 With the bells of the wedding ring, the knots were tied across the couple, Virushka or Virat Kohli the India Cricket Team Captain and Anushka Sharma, the well settled bollywood celebrity. The wedding location was exotic as the dream destination of millions of new-wedded couple, the heart of France, Paris. With the limited invites to the high class furnished arrangements, the guests were served with the best of the class A edition of Indian Wedding. The couple swayed a good buy to the audience there after the Reception Ceremony shall be arranged in the Capital New Delhi and Mumbai to serve and receive the blessings from the many relatives who could not make up to the wedding venue in Paris. Post this wedding there are frequent questions arising in regards to the after marriage life of most of the Indian Actress. Taking any example of Shri Devi, Kajol Ajay Devgan, Aishwarya Rai Bachchan, Karishma Kapoor, Kareena Kapoor Khan and many more actress who turned into a family or home maker giving up their fully fleshed career, touching the peaks of best times. Comments are welcome for moderation on this topic, also we request the visitors to maintain a formal dignity and not to interfere in the private life beyond a certain level. Next Do you believe what ROHIT SHARMA gifted her wife on their 2nd Anniversary.